Screencasts are easy to build and a great way to convey information. 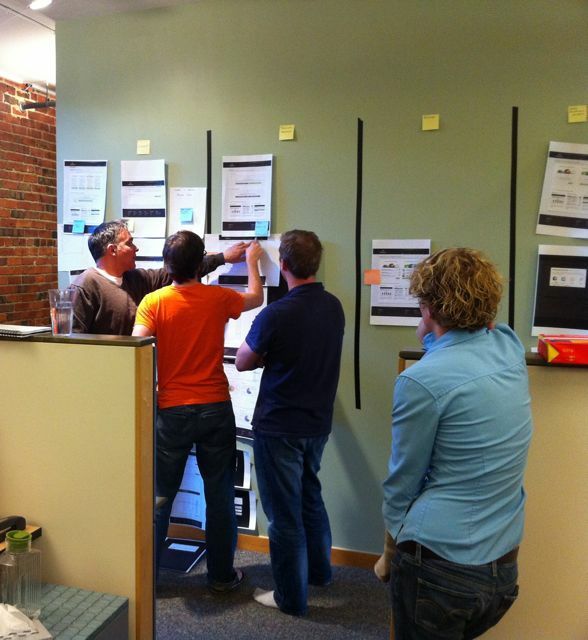 As a Product Manager, being awesome at communication is a big part of your job. Can you tell a great story to customers? Are you articulating the product roadmap to your company? I’ve used my iPhone to record a few seconds of people around the office, people in front of a whiteboard or monitor, etc. If you are building a screencast to tell a customer story this can work well. Plug your iPhone into your laptop and import the clip into Screenflow. I have almost all of my strategic thinking, articles I’ve found useful and reference material in Evernote. Their browser extension works great as does their Mac, iPad and iPhone apps. I even have the WSJ integration enabled so I see relevant news with my Notes. It’s time for Evernote to not only store my information, but really help me be smarter and better at everything I do. I would happily opt-in to this feature giving them access to learn from my personal data as long as I had a mechanism to “mark Notes private” which would exclude them from Evernote’s Machine Learning activity. 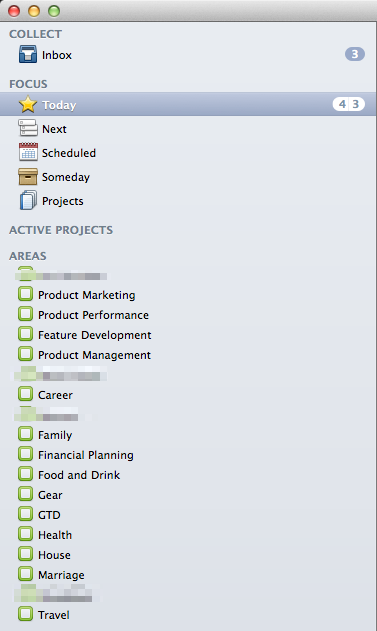 Evernote knows the Companies, People and Topics I’m interested in. Their browser extension could contrast my browsing behavior and work style with what I save into Evernote to learn more about me. They know my travel habits based on where I save Notes and all of the travel data I store in Evernote. They know about my kid’s activities because of the receipts I save, they know the gift idea list I’m keep for my upcoming 15th wedding anniversary. I want to build a list of Venture firms funding healthcare companies. I know that Mattermark and CB Insights have these by segment, but I want my own list and to apply my own logic. I want to understand all the people that work there and what they are talking about. I want to know about their investments. I want to know when people leave the companies. I want to dig deeper and see trends using visualizations, etc. I have been to the Evernote conferences, think Phil Libin was a visionary leader (#selfie) there and continue to be a paid user of the product. I’m hoping 2017 is the year that the Evernote team blows my doors off. I talk to Product Managers all the time that are considering building products or features that would move them into the Healthcare space. This post is for them. As you venture into Healthcare, you are embarking on the most TLA filled space imaginable. Talk to other Product Managers that are veterans in the space and you’ll barely be able to follow along. They are not trying to sound smart, it’s simply that the TLAs get ingrained so deep that it takes real effort to not use them. The Lucky Years by David B. Agus M.D. Doing this gave me an understanding of the ACA, Pharma and all of the problems especially in the US Healthcare system. I was beginning to understand some of the TLAs. My next step was to talk with other Product Managers. I had to ask a lot of dumb questions in these conversations but everyone was super nice and helpful. #givefirst These conversations helped me build a list of news, people, podcasts, blogs, etc that now make up my daily healthcare and biotech information pipeline. On a daily basis I found myself reviewing the Healthcare Top 100 and thinking about the business models of these companies. I subscribed to daily healthcare industry news from Becker’s Hospital Review, STAT and Modern Healthcare. I followed Zdogg and David Chase on LinkedIn. I listened to podcasts from Catalyze.io and a16z. At this point in my first 90 days I was back in the office, still under a nice “you are still new” grace period and learning from everyone I could. The next step was to talk to Techstars Alumni, Denver-based Founders and friends of mine that are running Healthcare Startups. I had 50 conversations in two weeks and summarized most of them in a shared Box folder the team uses. For a handful of the conversations, I summarized and sent an email to entire team to raise awareness. This quickly established me as the expert for our “Healthcare Startup Developer” persona. Tell stories to build empathy about the people the product is trying to help. Establish yourself as the voice of the customer on your team. Show you are passionate and curious about the problems to be solved and the people you are trying to help. It’s been one year since I began my journey as a Product Manager in Healthcare. I am once again sitting on the beach over Thanksgiving break pondering our Product Roadmap, Industry trends and reading everything I can about AI in Healthcare, Big Data Analytics use cases, Serverless Compute, how the ACA may change in the next Administration, CRISPR and more. If you want help with your first 90 days, please don’t hesitate to reach out….and good luck! I’m a big fan of “trigger lists”. The exercise of building them and the value they bring to a Mind Mapping or Design process have proved beneficial to me over the years. One of my favorites is David Allen’s GTD Incompletion Trigger List. Recently, I transitioned from obsessing over providing Developers with APIs that would help them build amazing things with AI to obsessing about Healthcare and how AI can provide better care while lowering costs. I pounded a Doppio and spent an hour brainstorming this trigger list to help me empathize with Users and better understand Actors in the crazy ecosystem that is today’s Healthcare tech. For those familiar with Agile, you’ll recognize the “As a User I want” format of this trigger list. We all have so much stuck in our heads, try creating one of these trigger lists for something in your world and you’ll be surprised at how it can help. For the past 6 months I’ve had the opportunity to work on one of the best projects of my career. This thing has all the buzzwords: big data, social media monitoring, semantic analysis, kanban, ruby on rails, github, distributed teams, expertsourcing, skype video, lean, pragmatic, platform, you name it. The team is brilliant and highly skilled in their areas of expertise (rails programming, UI/UX development, architecture). Each member cares deeply about their craft and is highly passionate about our project. We argue, we collaborate on great ideas, and all stress the difference between opinions and facts. This quick reflection just reminds me that building software is amazing. It’s not writing up exhausting requirements that no one cares about, it’s not outsourcing all of your technology to a vendor, it’s not making stupid decisions that leads to wasting money and not shipping product. Building software is about being creative, respecting the craft and the team and adapting quickly to a changing environment while relying on tried and true principles. I can’t wait to see what shows up in the next “git pull”.